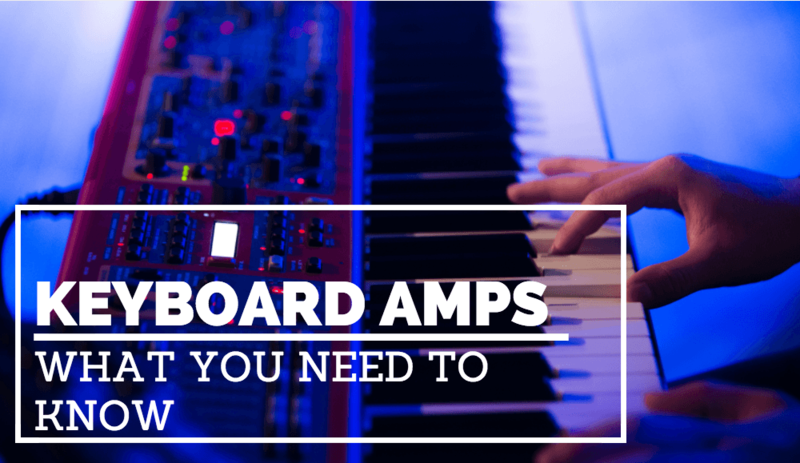 As a keyboard player, you may sometimes feel like you’re not getting the best sound out of your instrument. Especially when playing gigs or concerts, the common practice is to plug the keyboard directly into the mixer. This, however, doesn’t output the best sound out of the keyboard and often results in a bland and flat sounding signal. The best solution is a good keyboard amplifier. But which one? What should you look for when buying one? In this article, we’re going to address some of the most important features a good keyboard amplifier should have, as well as talk about our pick of the 5 best keyboard amplifiers you can get. Why Not Just Use A Guitar Amp? Sure, you technically can use a guitar amp for your keyboard. However, there is a major difference when it comes to sound. As a guitar and keyboard function in a different range of frequencies, amps are designed to perform in that range as well. A keyboard offers a wide variety of different sound presets, demanding a much broader range of frequencies to accurately reproduce those sounds. Additionally, some keyboards amps are going to be able to output your sound in stereo. A guitar amp is only designed for mono sound, so you will be loosing a lot of information if you rely on a guitar amp. Simply put, not all presets on a keyboard are going to sound that great when plugged into a guitar amp. 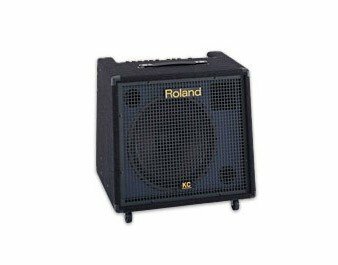 A Keyboard Amp Or A PA System? 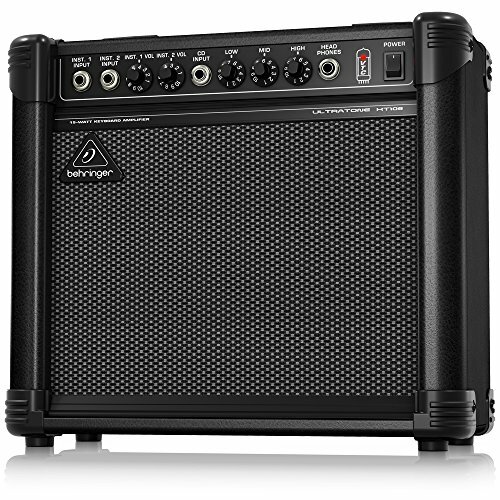 A PA system offers a relatively wide frequency range, but lacks some features most keyboard amps have. If you’re performing solo or coupled with a vocal, a PA system should do the job just fine. However, when performing with a band, a keyboard amp make the job a lot easier. First of all, amps are way smaller and compact, so fitting one on a stage shouldn’t be a problem. They also make dialing in your perfect EQ combination simple and straightforward. Also, you’re in charge of your tone, and not the sound engineer. 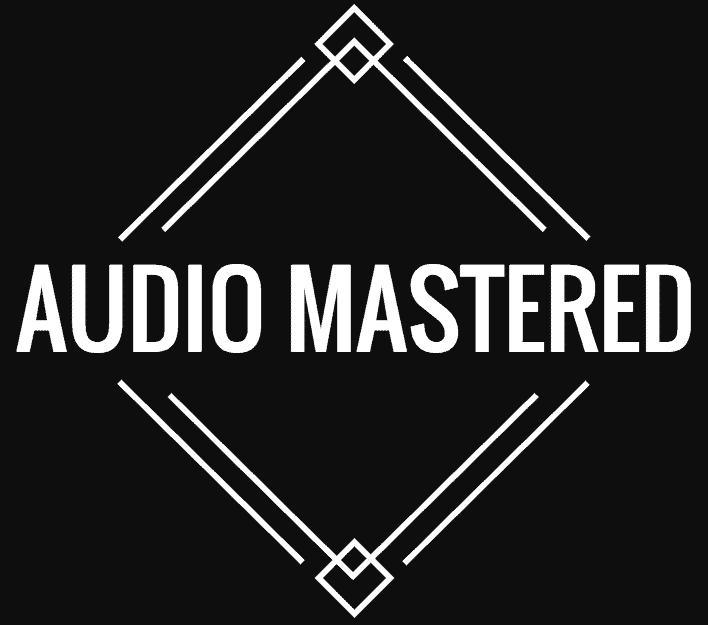 A PA system requires you to have a separate monitor, while using an amp eliminates that need. Besides all that, there’s always the price, as amps often cost way less than PA systems. First and foremost, let’s talk about watts. The amount of power you need depends on the settings in which you will be using your amp. With an exception of smaller venues such as pubs or cafes, chances are that you will have your amp mic-ed, or simply have its signal sent through the PA. That means you don’t have to worry about your amp solely being capable of delivering enough power. It’s important to be able to provide relatively loud and undistorted sound. When it comes to speakers, there are a couple of different options. A common setup would be a 12” woofer and a small tweeter, for that balanced response. A midrange horn is helpful to boost those mids, and dual 15” speakers do well for more low-end response. As channels go, 2 or 4 channel setups are the most common, giving you the option of plugging in multiple instruments or devices. EQ controls that are channel specific offer control over the different line frequencies. Of course, always check if the inputs and outputs match the rest of your gear, the keyboard obviously being the most crucial. Portability is always important, especially when you have other pieces of equipment to move around. Generally speaking, keyboard amplifiers are rather portable, some more than others. The Ultratone Kt108 by Behringer is a powerful yet very portable amp. Delivering clean and undistorted sound through a 20W 8” driver, it’s excellent for rehearsals or smaller scale performances. As it features virtual tube circuitry, it emulates the warm tone of vacuum tubes without the added bulkiness. Two separate channels provide you with the ability of hooking up a keyboard as well as a mic. A standard 3 band EQ allows you to shape the tone to your own preference. If you feel like playing after hours, just hook up your headphones to the Kt108 and you’re good to go. Another amp coming from Behringer, but this time packing a bigger punch. The Ultratone K450fx keyboard amp features 3 channels, each with its own volume and effects controls. Perfect for musicians who use more than one device besides their keyboard. A 10” Bugera speaker rocks out 45W of crystal clear sound, which can be modified with over 100 different effect presets. If you find yourself lacking a bit more bass, Behringer has got you covered, as there is also a subwoofer output for ultimate low-end punch. A feedback detection system is there to ensure no high pitch noise disrupts your performance, even at the loudest settings. All that packed in a rugged yet fairly lightweight body. 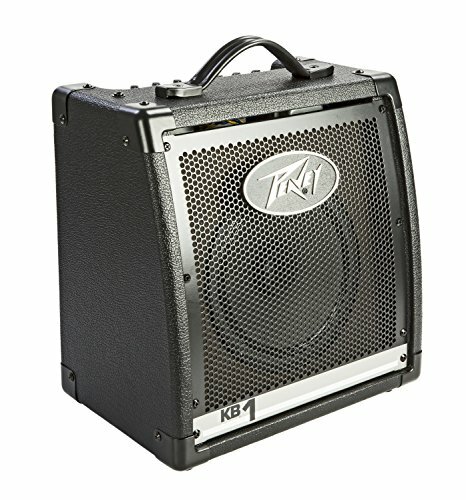 Offering power and reliability, Peavey’s KB 1 is a solid choice. Being more than just a simple keyboard amp, it provides musicians with complete control over their sound. 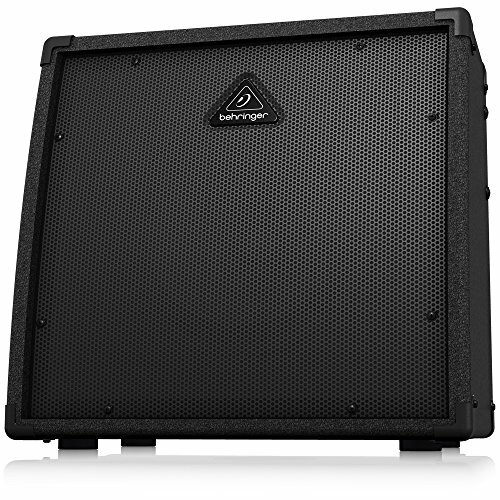 Whether you need an amp for rehearsals or gigs, you have an option of choosing a 20, 50, 60, 75 or 100W version of this model. As expected, it comes with 2 channels, each with its own level, low, and high-end controls. A simple, yet great sounding solution for any keyboard player. 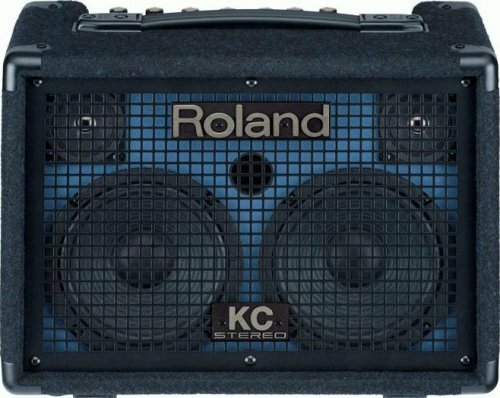 Marketed as the first battery- powered keyboard amp, Roland proves that it doesn't get more portable than their KC-110. Not only is it portable, but it also has 3 channels, making it a handy piece of equipment for more than just a keyboard. Featuring a 2 band EQ and reverb and chorus effects, it’s sure to satisfy the basic needs of any keyboard player. You can even prop it up a bit using the built-in tilt-back stand, making it a great monitor as well. Another great piece of equipment from Roland, the KC-550 offers everything like the KC-110 and a bit more, and in a slightly different package. More of a powerhouse, as it boasts 180W of power, and being noticeably bigger and heavier. It does have wheels for added mobility though, so moving it around isn’t that difficult. A 15” speaker paired with a tweeter is more than enough to deliver massive sound while maintaining clarity and balance. Featuring 4 channels, a 3 band EQ and a subwoofer output, the KC-550 is definitely a beast of an amp. There you have it, we’ve covered the basics you should consider when buying a keyboard amp, and went over some of the best amplifiers on the market. You definitely won’t be making a mistake by choosing any of the mentioned models, and we hope that we’ve helped you in choosing a perfect amp that will suit your needs!